There is no end to the lengths Los Angeles is willing to go for sushi. 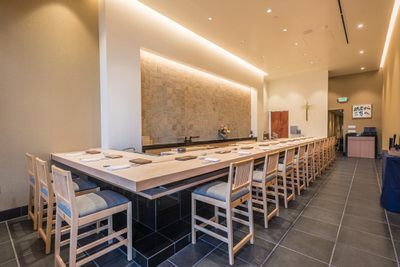 Case in point: the arrival of Sushi Ginza Onodera, a spendy new ode to all things oceanic, now open on La Cienega. 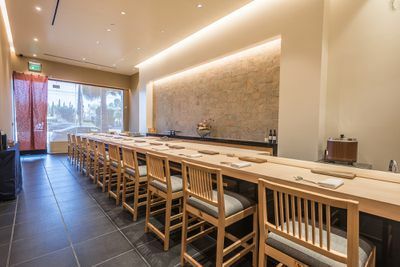 The modern sushi masterpiece soft opened a couple of days ago, keeping evening hours only within the slim 16-seat space. 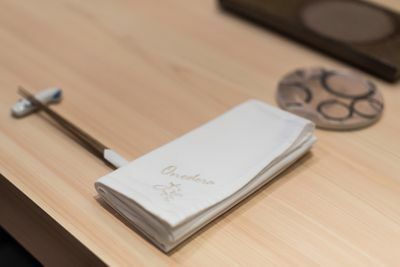 Behind the counter is chef Yohei Matsuki, a vet from Onodera in New York City, which just earned a Michelin nod not long ago. 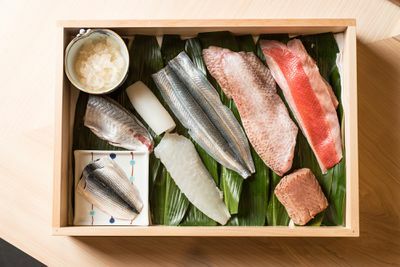 Now in LA, he’ll be crafting omakase menu experiences that can run in the $400 range for the rare stuff. As for the Andy Yo & Co.-designed space itself, expect clean lines and lots of blond wood. Each seat situated around the long L-shaped bar gives an exemplary view of the action. 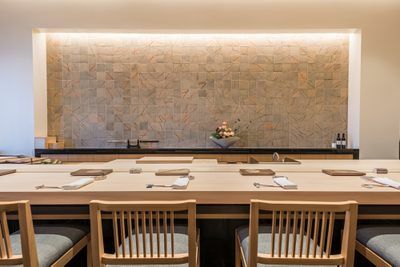 With its winning Venn Diagram of exclusive price, beautiful interior, and perfect location, Sushi Ginza is sure to become the kind of immense immediate hit as other recent New York transplants like Catch, though with a much more discerning crowd. 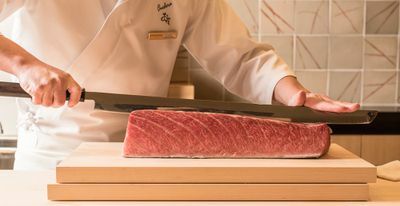 Reservation-only meals at Sushi Ginza Onodera are officially happening now, with first seatings at 5:30 p.m. and last admission at 9 p.m., Tuesday through Sunday. 609 N. La Cienega Blvd.